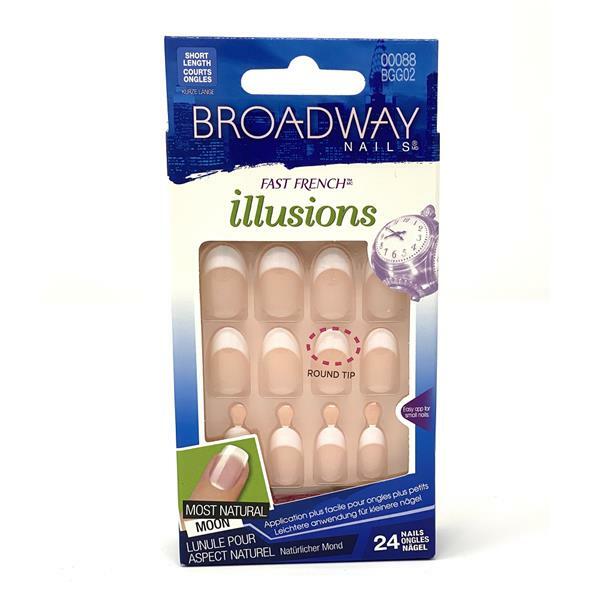 The Broadway Fast French Illusions are short manicured nails that apply easily to the nail. Transform your nails within minutes for a salon finish manicured look. This pack includes 24 nails in 12 sizes.